Happy With You is the fourth track on Egypt Station, Paul McCartney 's 17th solo studio album. And so I got this little riff on the guitar and the words came to me, you know: "I used to lie around all day, I used to get stoned, I used to like to get wasted, but these days I don't." So it's a song about growing up. There's a period in your life – in some people's lives – when they're not being as productive, or not being as organised or disciplined as they may later turn out to be. So this was basically it. I really related to this song. It reminded me of where I am in my own life and my feelings for my wife.
) but I think it's a terribly sweet song. Simple and genuine.
) in her 40's. You will really enjoy it. I smiled 'til it hurt when I heard this song. I know this tune will bring much happiness into the world. What does "catch a moon and drop it" refer to? I’m interpreting it as a reference to a line in sound of music from “How Do You Solve A Problem Like Maria” that goes “how do you hold a moonbeam in your hand?” This has become somewhat of a common phrase now that basically says no matter how much you’d like to do something (like solve Maria’s problems in the nunnery or hold a moonbeam), some things just can’t be done simply can’t be done. Paul’s line is a play on this I think. This love of his is so special that he was able to catch a moonbeam and do the impossible, but it doesn’t really interest him because he has everything he needs from Nancy. He’s happy so no point in clinging on to an impossible dream. 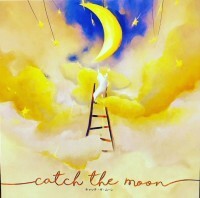 'Catching the Moon' is also a kid's book and a board game......He may have read it or played it being a Grand Dude. That makes more sense to me since it follows the line about watching the children playing games.